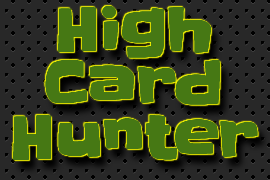 Play High Card Hunter now! How fast can you count your points? This game will train you to count up those sweet sweet HCPs without even thinking about it! To play, be sure to disable your pop-up blocker for bridgewinners.com. The game is currently not supported on mobile devices... but will be soon! 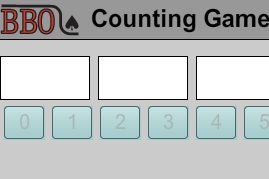 Play BBO Counting Game now! Developed by Fred Gitelman, this deviously simple game trains you to recognize distributions of bridge hands without pause for thought. Wait for three numbers, and enter the fourth one that adds up to 13! So simple, yet so maddeningly hard. Note: the Counting Game requires Flash.